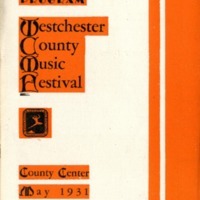 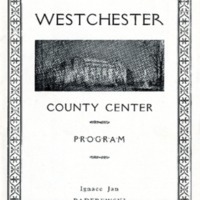 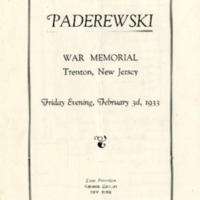 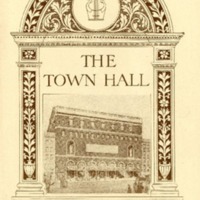 Program from Ignacy Paderewski’s performance at the War Memorial in Trenton, New Jersey where he performed on February 3rd, 1933. 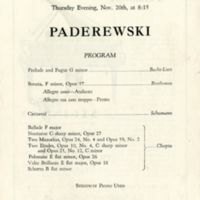 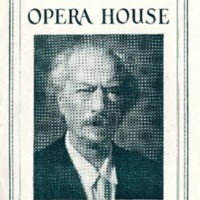 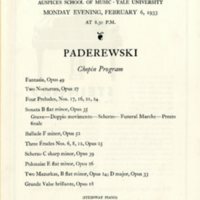 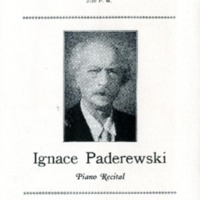 Program from Ignacy Paderewski’s performance in the University of Illinois’ (Chicago, Illinois) auditorium where he performed on March 9th, 1933. 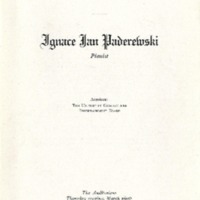 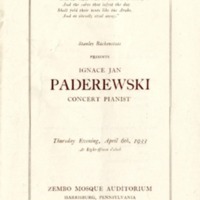 Program from Ignacy Paderewski’s performance at the Auditorium (Chicago, Illinois) where he performed on March 12th, 1933.